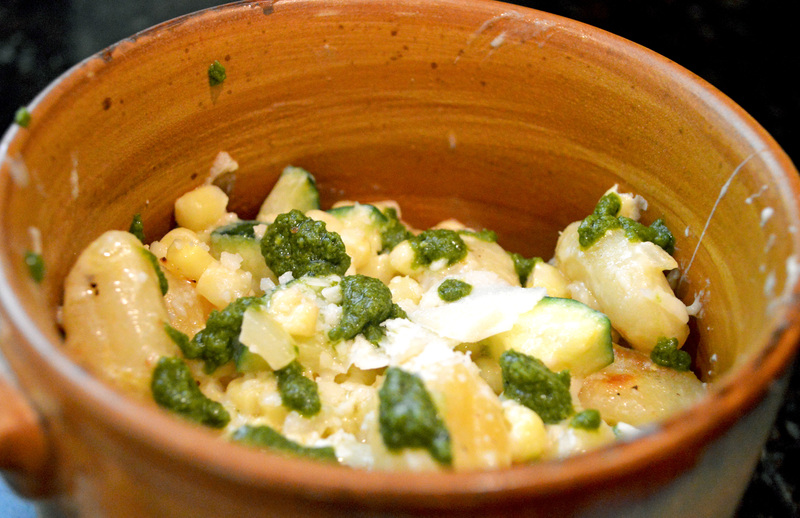 Crispy Lemony Gnocchi with Veggies and Pesto – Dancin' and Cookin' in the Kitchen! Try this one for sure!! Heat extra virgin olive oil in a large skillet over medium-high heat. Add gnocchi then spread in one layer and saute undisturbed for 3-4 minutes, or until golden brown on the bottom. Toss then add the lemon zest and lemon juice and continue sauteing for 3-4 more minutes or until golden brown on all sides. Remove skillet from heat then set aside. Meanwhile, heat butter in another large skillet then add zucchini, corn, and onion and garlic, and then season with salt and pepper. Saute until vegetables are tender, about 3-4 minutes and then saute for 30 more seconds. Remove skillet from heat then add half & half and parmesan cheese, and stir to combine. 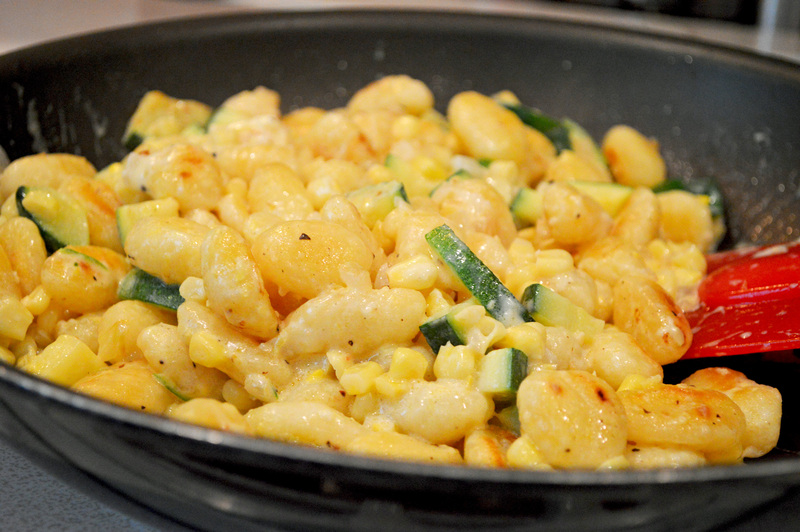 Pour mixture into skillet with gnocchi then toss to combine. Season with more salt and pepper if necessary. Serve and top with more parmesan if so desired, and drizzle with a little bit of pesto. Enjoy!! I know we did!